July 9th, 2018 | Comments Off on East Punjab Holdings (Consolidation and Prevention of Fragmentation) Act, 1948, S.42–Revision–Non providing of passage-Application filed after 40 years of consolidation- Application was allowed without considering the explanation- Matter remanded. 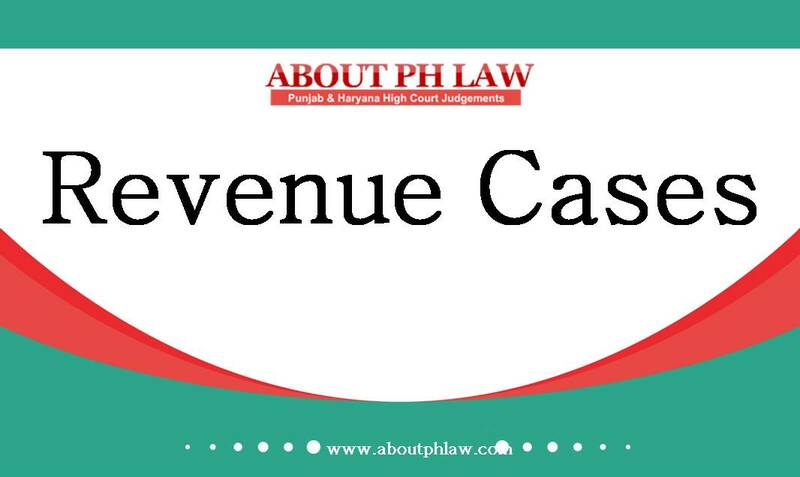 April 21st, 2018 | Comments Off on Punjab Land Revenue Act, 1887, S.44–Revenue Records-The entries in jamabandi are not proof of in respect of an irremovable property-Entries made by patwari in official record are only for the purpose of records and do not by itself prove the correctness of the same nor can statutory presumption be: drawn on the same, particularly, in the absence of corroborative evidence. April 19th, 2018 | Comments Off on Evacuee Property—Occupant cannot claim allotment of land on the pleas that they were/are in its unauthorized occupation since the 1964 or prior thereto as original allottee failed to take possession of land allotted to them being Displaced Person’.